Registrations & $100 non-refundable deposit will be due to Coach Wimmer by April 8th. 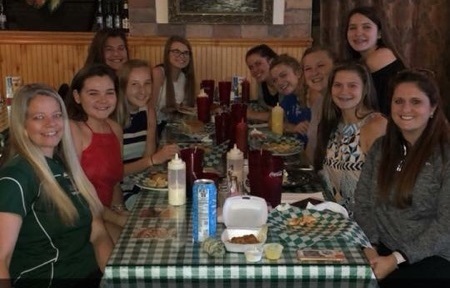 Make checks payable to William Monroe Volleyball. Pictures from the 2010 to 2018 camps are on Facebook! They are here! Cameron is a 2019 graudate of Bassett High and will be on the Guilford College volleyball team in the fall. She has played 5 years of school vball & 7 seasons of club vball. She holds her school record of 19 stuff blocks in a match! She is most proud of receiving the Player's Choice Award "Does/Says the Right Thing" on Coach Houser's 15 National team in 2016. You can contact Cameron at cameronlblankenship@gmail.com. William Monroe High 2018 STAR Volleyball Camp! 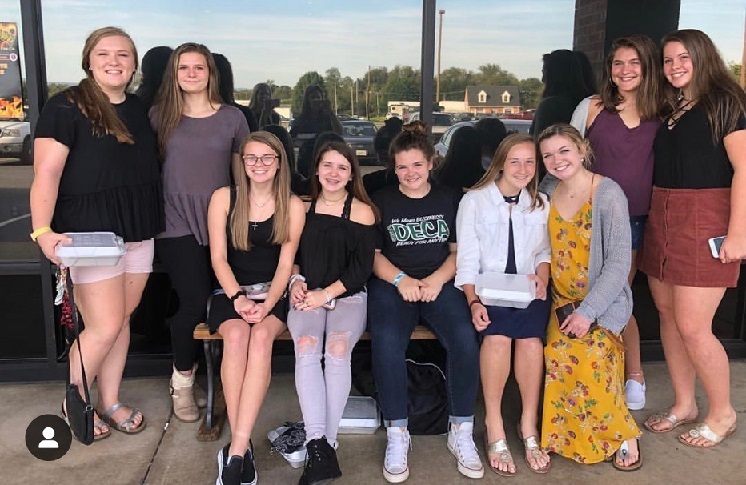 Back Row: Makayla Jones, Coach Candace Patterson, Coach Erin Lam, Coach Leah Wimmer, Jordan Alvarez, Morgan Pursel, Savannah Ripley, Olivia Hord, Allison Hoffman, Caressa Gibson, Kaylee Tuncy, Grayson Lawson, Katharine Pahuta, Mae Hawkins, Sofia Beard, Macayla Fisher, McKenzie Eubanks, Kendyll Eddins, Taylor Mallory, Brooklyn Tower, Natalie Hernandez, Taylor Eppard-Hoffman, Paige Hoffman. 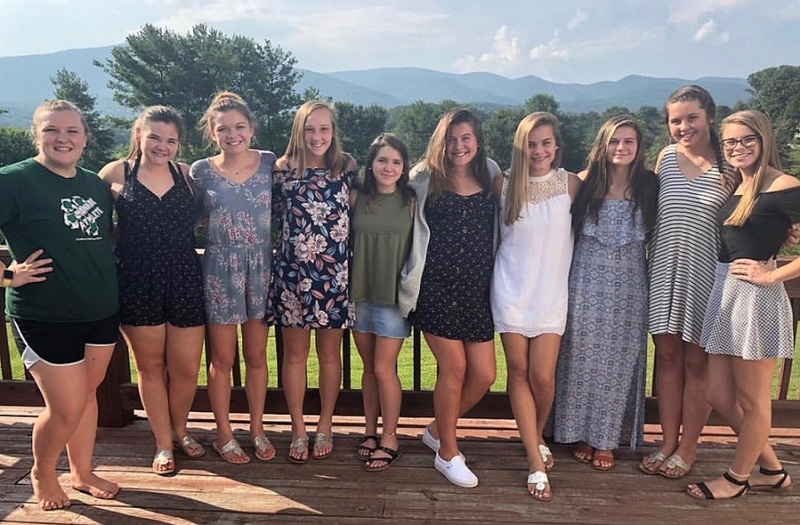 Middle Row: Cassidy Lamb, Kylie Shifflett, Mackenzie Schmidt, Brianna Adderley, Savannah Meade, Alex Sharff, Sydney Litwiller, Maya Winterhoff, Taylor Franssen, Ava Alvarez, Mara Woolford, Chloe Davis, Emma Shifflett, Olivia Heapes, Amber Woodson, Sarah Lamm, Grace Walton.
" I did not have a chance to speak and thank you for another awesome camp. [My daughter] always enjoy your teaching!!!! Thank you for coming to the area (wish my school would get on board) and bringing your experience."